Diastasis recti, or abdominal separation, is something that we see a lot when working with Moms. So often, that it serves as a great teaching tool for physiotherapy students! Read below, for what my lovely PT student Danielle learned about this condition over the summer. Diastasis. Recti. These are two words that strike fear into the hearts of women pre-natally and post-natally all over the world. This fear typically begins as you start to notice changes within the abdominal wall that are associated with pregnancy. If this is the first time you have heard these two words strung together, excellent. It’s time to set the facts straight on what an abdominal diastasis is and begin to understand what to monitor for and how it can be treated. 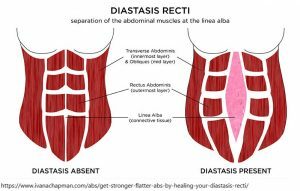 Now that you understand a diastasis recti, the next logical step is to assess whether or not you have a one! A quick test for the lay person, is to lay down on your back and bend your knees with your feet on the floor in a comfortable position. Now, bring your chin to your chest by lifting your head off the ground. Did you notice your stomach creating a little dome? These changes to your abdomen might indicate you have diastasis recti. Take a deep breath! This isn’t the end of the world and doesn’t need to be something that elicits fear or hopelessness. 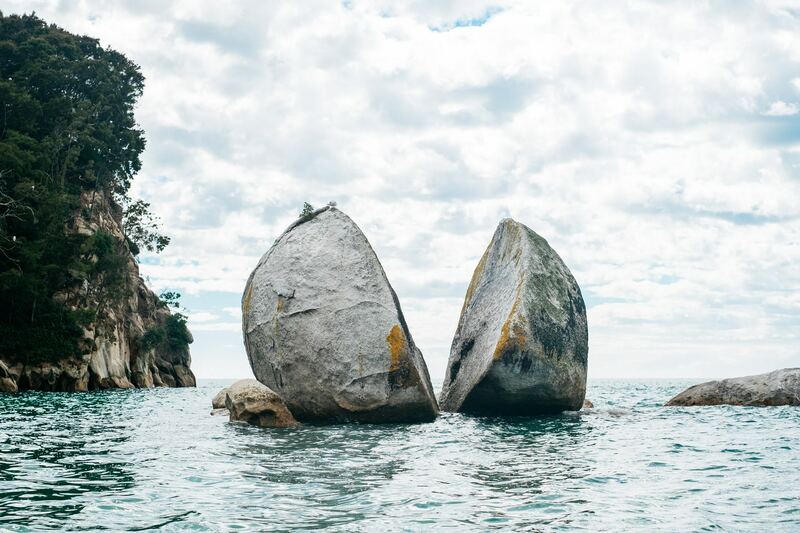 With the proper knowledge and the right coordination of your deep core, you can actually control the appearance and function of this area in your body. Fortunately, there are many things that can be done to help improve this condition without surgery. This doesn’t have to be a lifelong issue. 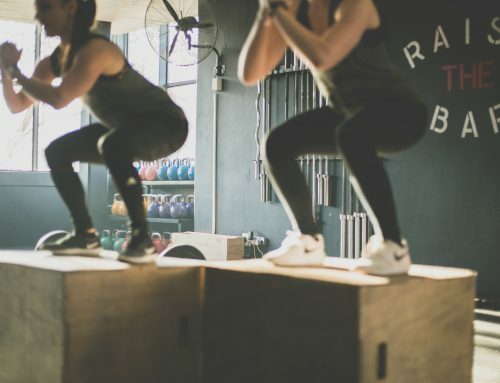 It would probably be a good idea to get checked out by a pro, like a pelvic floor physiotherapist, who can safely work with you to improve the strength, function and possibly appearance of your abdomen. 1. Hickey F, Finch JG, Khanna A. A systematic review on the outcomes of correction of diastasis of the recti. Hernia. 2011 Dec 1;15(6):607-14. 3. Benjamin DR, Van de Water AT, Peiris CL. 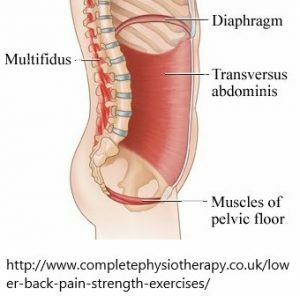 Effects of exercise on diastasis of the rectus abdominis muscle in the antenatal and postnatal periods: a systematic review. Physiotherapy. 2014 Mar 1;100(1):1-8. 4. Lee DG, Lee LJ, McLaughlin L. Stability, continence and breathing: the role of fascia following pregnancy and delivery. Journal of bodywork and movement therapies. 2008 Oct 1;12(4):333-48.